When I do this, excel 2016 isn’t even an option to choose. What do I do? What version of Excel do you have installed? 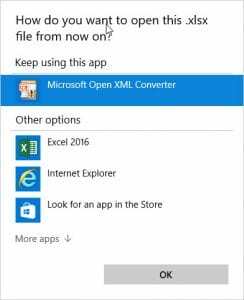 Also, have you tried clicking the “More apps” button, and seeing if Excel is there? 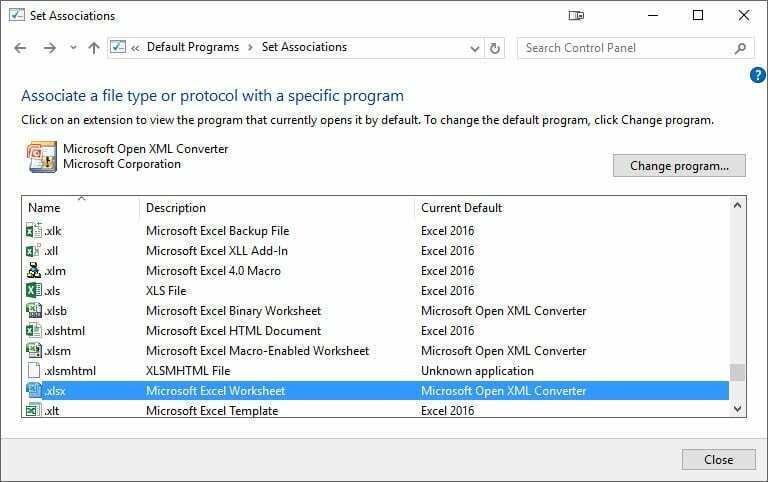 You can also manually select the application from that list by clicking browse and navigating to Excel.exe in the Office install directory. For me, the path is C:\Program Files (x86)\Microsoft Office\root\Office16\EXCEL.exe. Let me know if that solves the issue or if you need more help!